Group of 7, escaped with a second to spare from The Mad Scientist! Would recommend 100%!! was fantastic and a whole lot of fun!! 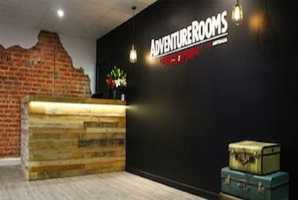 This is the original Adventure Rooms game that has been enjoyed in over 20 locations worldwide. 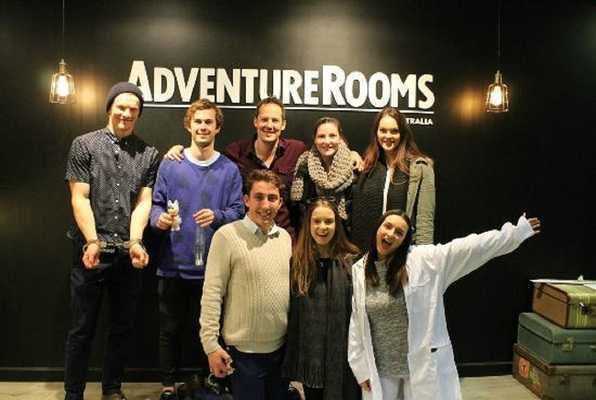 Started and designed in Bern, Switzerland, Adventure Rooms invites you to step inside the house of an ingenious mad man. Inside, you will need to finish his crazy experiments and get inside his mad mind... if you ever want to escape. Reviews of escape game "The Mad Scientist"
Today we went to Adventure Rooms in a group of 4 and did The Mad Scientist Room! We had so much fun and enjoyed it so much that we've already booked to do The Black Queen Room. Definitely recommend everyone to give it a go, for something fun & different! The staff were awesome and friendly too.